Sophie has a diverse family law practice representing clients in proceedings relating to domestic violence, financial remedy, transfer of tenancy, care and child arrangements. Sophie has been involved in a variety of cases involving issues of capacity, fact-finding hearings and foreign embassies. Sophie has also represented a respondent in contested divorce proceedings and has contributed to the debate on divorce law reform by publishing an article in Family Law Week. The article, entitled “Ending a marriage in the 21st century, a look beyond no fault divorce”, looked beyond the question of no fault divorce to consider what other aspects of divorce law are in need of reform such as adultery and the requirement for couples to live apart as well as the grounds on which a marriage is considered voidable. 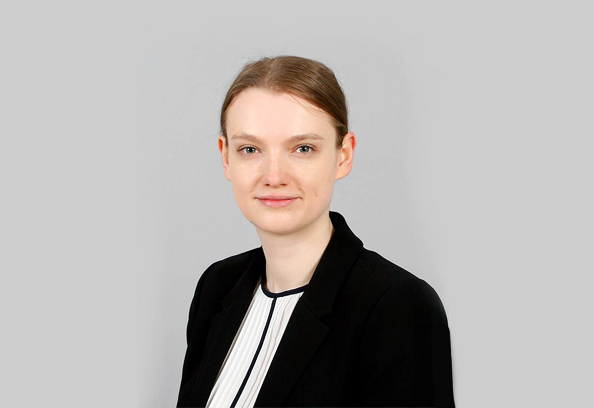 Prior to coming to the Bar, Sophie worked for almost two years as a paralegal for Hornby and Levy Solicitors, a specialist family law firm based in South London. She worked on cases involving several different areas of family law including TOLATA, child abduction and Schedule 1 of the Children’s Act 1989. Her work included representing clients in without notice applications for non-molestation, occupation and prohibited steps orders. While studying for the BPTC, Sophie also volunteered at the Personal Support Unit and supported litigants in person in both the Royal Courts of Justice and the Central Family Court. Sophie is on the Metropolitan Police Legal Services Panel of Barristers dealing with Family Matters.